We have seen several colorways of the Jordan SC-1 for the past few months, but the Holiday Season-themed edition will likely get a lot of attention in the market soon. 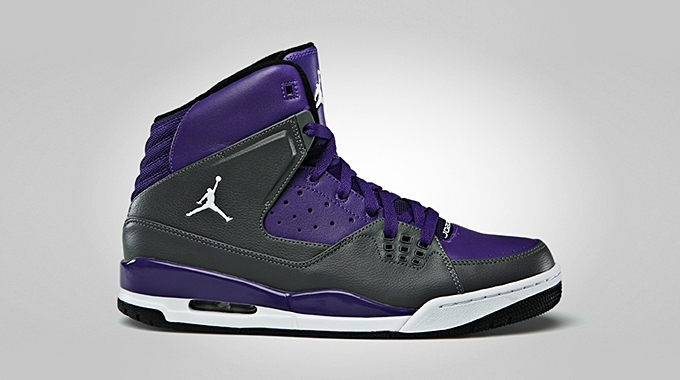 The high-top kick that was inspired by the Jordan Flight Series will come out in Court Purple/White – Dark Grey – Black, which looks simple but will definitely be an eye-catcher. Just like before, the silhouette features full-grain leather and boasts a superb comfort paired with great style. This could be available on a limited basis so make sure to grab your own pair for just $120 immediately once it hit the market anytime from now.